Sherlock is highly motivated to find bed bugs. The canine handler will first assess the area to be inspected to ensure the required preparations are complete and appropriate access is available. Noise and human distraction should be minimized to create the most effective inspection environment for the canine team. All suspect areas will be thoroughly inspected by the canine team. Typically, it is not necessary to inspect the kitchen and bathroom. If the canine alerts to bed bugs or viable eggs, the handler will mark the location with a sticky note or record it in his mobile device. 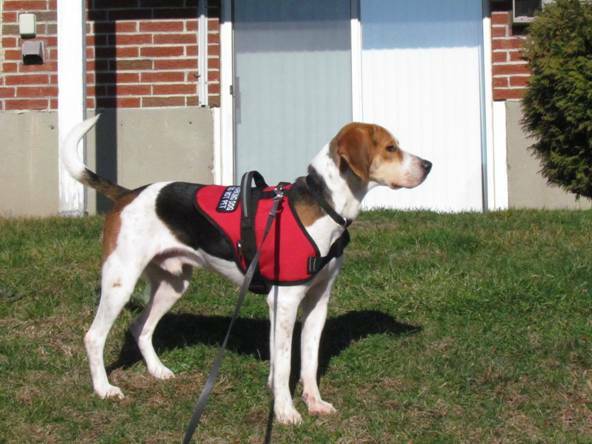 Upon completion of the inspection, the canine will be returned to its kennel and the handler will visually confirm the presence of bed bugs in the areas they were found. Inspection notes will be made in the client’s account. The handler will review the results of the inspection with the client (if available) and discuss treatment options including thermal remediation (heat) if needed. Canine inspections can be completed within minutes, however, time frames may vary greatly depending on a number of factors including level of infestation, number and size of rooms to be inspected, quality of preparation and amount of clutter, etc. 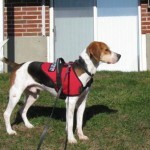 “Sherlock” is a very social and energetic 1-yr. old fox hound and former hunting dog. But more importantly, he is highly motivated to find bed bugs. Both Sherlock and Modern’s canine handler are certified by the National Entomology Scent Detection Canine Association (NESDCA).